Yogini Sunita lived her early life in Bandra, a seaside village near Bombay, and at the age of 15 she was on the threshold of a brilliant career as a concert pianist. But then, a marriage was arranged for her by her family - one that was unacceptable to her. She had one option open to her and she became a nun. Disillusionment, lack of food, hard work and above all, deep unhappiness soon began to affect her health. A succession of illnesses and operations reduced her, after 3 ½ years, to a shadow of her former self, and she longed for freedom. One day, when the outer gate of the convent was left open, she walked out as the only runaway in Indian convent life. Her family took her back but she was not accepted by her friends and was far too nervous to meet anyone. She found consolation in her walks by the seashore and it was there that she met Narainswami, a famous Yogi, who taught her the art of mental relaxation. Soon her nervousness and fear disappeared and her confidence returned; a second marriage was arranged and this proved to be a happy one. 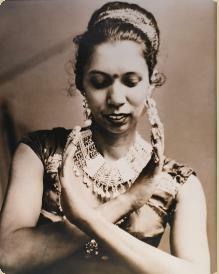 She became personal assistant to the Italian Consul - General in India, and then moved with her young family in 1960 to Birmingham, where she began to teach Yoga to a few friends. Soon she was holding regular classes and enjoying the unique position as the only teacher outside India. Work with private pupils, in industry and with local education authorities finally led her in 1962 to form The Yoga Relaxation Centre for Great Britain. Students of Physical Yoga, Relaxation Yoga, Breath Control and Meditation came from all over this country and from abroad to her studio. Yogini Sunita taught us that Pranayama Yoga is a way of life and to deal with life we should learn the Art of Relaxation. In Sunita’s book ‘The Art of Relaxation’, she states, “It is my privilege to share this (Indian Classical Ballet Music and Classical Indian Dancing) art with school children and adults from all walks of life”. 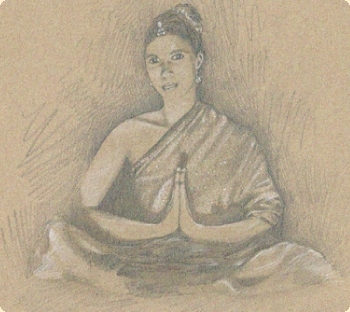 Yogini Sunita taught both these Arts from December 1960. Again, in her book, she says, “In 1967, a most unique group of school children from a Secondary Modern council school, which I will never forget, became the main body for productions of East West Dancing. The children who attend this school come from fourteen countries. Their tremendous contribution to human dancing is spontaneous, sincere, exotic and heart-warming. School leavers returned for training and obtaining a professional standard of work. The aim of this unique group, is to maintain a true spirit of friendship and understanding prevalent in Eastern and Western human emotions and culture. Children from four years onwards, contribute in a very big way by giving of themselves, to this unique informal integration”. Another extract from The Art of Relaxation reads “My activities in Yoga, Classical Indian and Oriental Dancing were taken further afield into working for the Indian Education Authority. This opportunity gave the research (into Informal Spine Stretch to eliminate Rheumatism, Fibrositis and Arthritis) a tremendous scope for the therapy to progress. The research began in India in January 1949. It was not until I taught at a Secondary Modern School in England, in January 1969, that my research was completed. It is to the children of this school, that I add my grateful thanks and permanent remembrance. For ten minutes each day, boys and girls from forms one to five, gave of themselves completely to the movements and interpreted Informal Spine Stretch exactly as the therapy demanded”. Continuing the theme of helping people, Sunita also taught Japanese Massage, specialising in relaxing the body physically. She found that massage helped particularly with Rheumatism, Fibrositis and Arthritis, slipped disc and migraines.